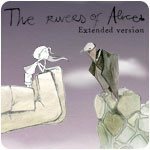 The Rivers of Alice - Extended Version Game - Download and Play Free Version! 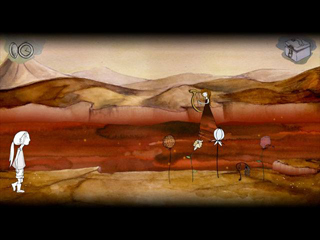 A gentle game, The Rivers of Alice: Extended Version will see gamers enjoy experiencing the beautiful watercolor, ink and pencil-drawn images of Ane Pikaza, as well feeling the emotion of the beautiful soundtrack (composed expressly for it by Spanish, indie-rock group, vetusta morla) wash over them. 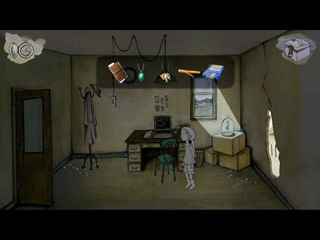 The graphic adventure includes 10 characters and 20 puzzles on 15 screens, with 11 sound environments and 13 exclusive compositions by vetusta morla. 700 main character animations, 177 conversations and 717 objects and characters in more than 1500 art-filled illustrations bring Alice's weird and wonderful universe to life.